Maximum weight capacity is 75 lbs. each (150 lbs. a pair). 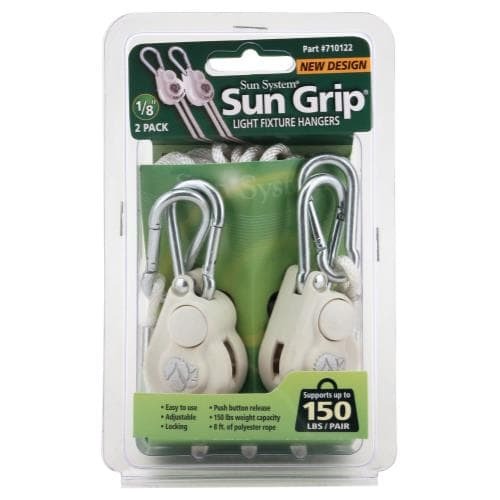 Sun Grip® Light Hangers allow you to secure items quickly and easily. New improved design with a simple push button release. Sun Grip’s patented system pulls tight, locks in place, will never break or slip and will not rust. Made with special composite material. Heat and cold resistant. 8 ft braided polypropylene rope. 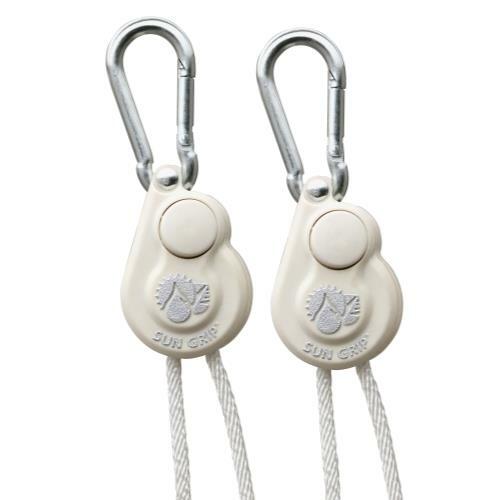 Carabiner clips provide a secure hold. Great for hoisting or securing reflectors, light fixtures, carbon filters and ventilation equipment.